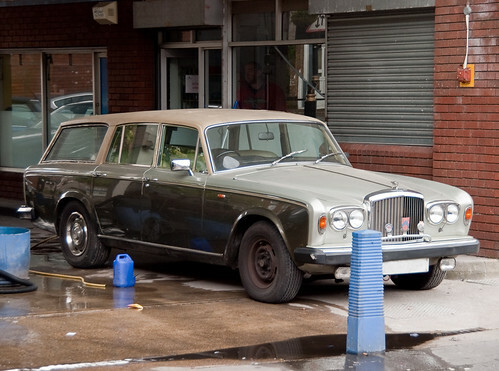 Bentley Estate, originally uploaded by J e n s.
Jens spotted this great Bentley T2 estate in London recently. Does anyone know the coachbuilder? This has been living around Sloane Square (parked in a garage on Sloane Street) for many years. I dont know any details of it though sadly! I nearly asked the owner once when I saw it driving down the Kings Road when i was on my scooter but didnt! A Shadow II Spring Drive.